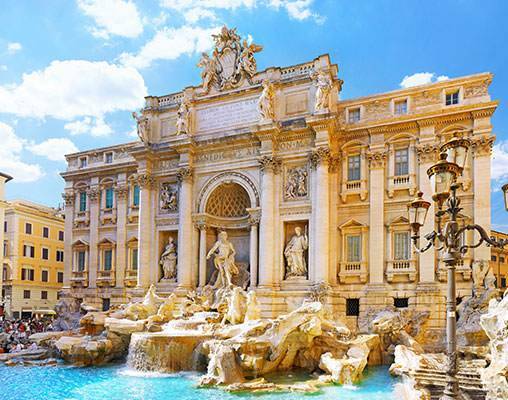 Enjoy two of Italy’s most romantic destinations—the Eternal City of Rome and the picturesque Amalfi Coast. After breakfast, you have a morning city tour. 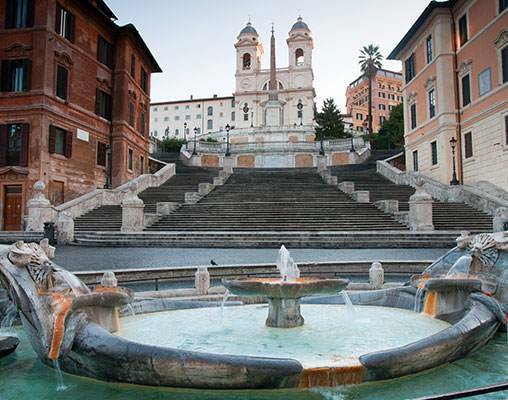 Meet your driver for your Semi-private Rome Panoramic Orientation Tour (available April-October) in your hotel lobby (specific pickup time will be in your documents). A small-group tour with a minimum of 2 and a maximum of 8 people. 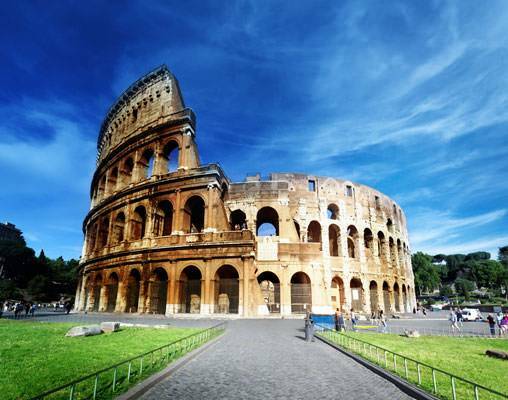 Your English-speaking driving guide acquaints you with all the main monuments including St Peter's Square, the Colosseum, Forum, Piazza Navona, Spanish Steps and Trevi Fountain. (Driving guide not licensed to lead tour inside of monuments or museums. 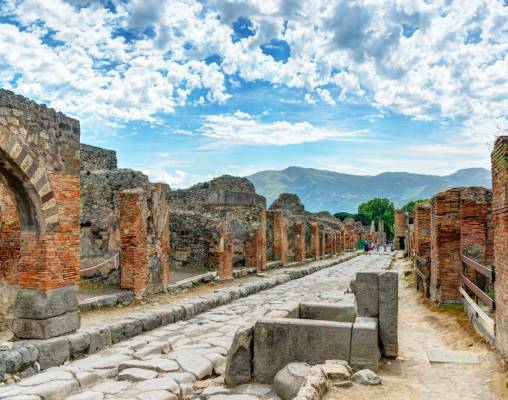 Tour does not include any entrance fees, meals or gratuities. )Tonight you dine with 8:00 p.m.
After breakfast, you're ready to depart back home. 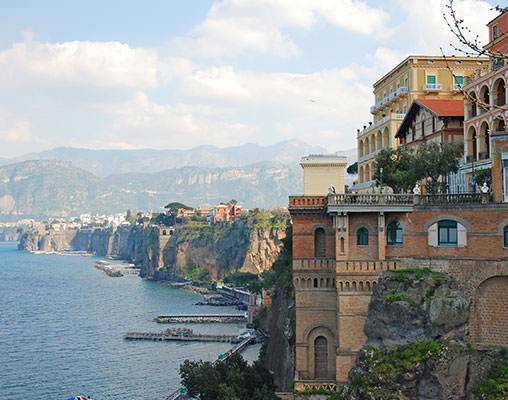 Hotels include the Hotel Palladium Palace and Villa Di Sorrento. Rail transportation is in first-class including seat reservations. 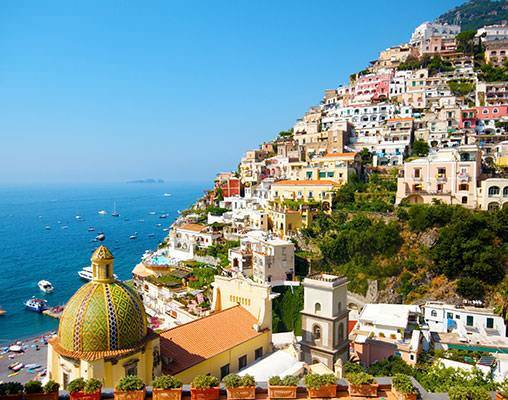 Click here to view testimonials for Italian Romance: Rome & Amalfi Coast by Rail. Excellent, Excellent, Excellent...Such a wonderful experience in Italy, thanks to Vacations By Rail! Extremely helpful and booked exactly what we wanted, at a great price. We weren't sure what to expect but Vacations By Rail DID NOT Disappoint!! Thank you for helping create awesome memories without the Stress! 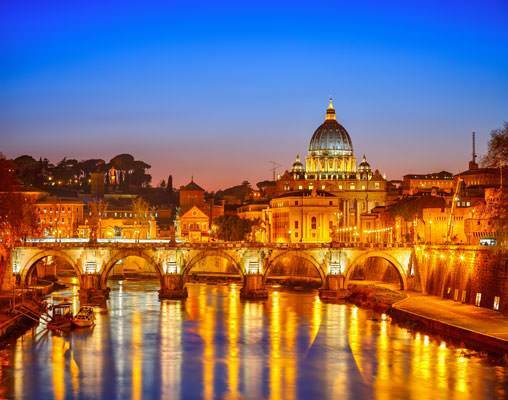 Enter your details below if you would like to be notified when 2020 dates and prices are available for Italian Romance: Rome & Amalfi Coast by Rail. Tour prices are land only, per person. Prices are correct at the time of this web page being published; however, are subject to change. Transfers do not include porterage or assistance. Limit 1 suitcase and 1 handbag per person. Gratuities for sightseeing tours not included. *Entrance to monuments or museums not included.